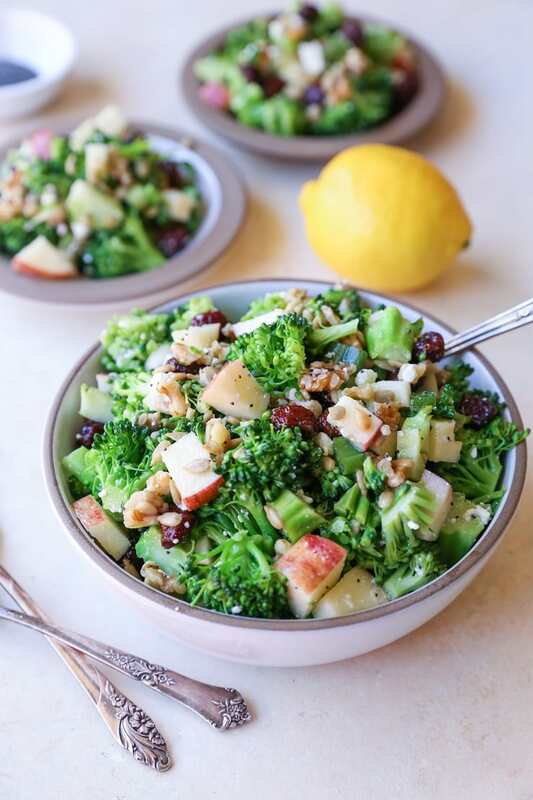 Crunchy, refreshing mayo-free broccoli salad with dried cranberries, walnuts, sunflower seeds, feta cheese, and lemon poppy seed dressing – a perfect side dish for any meal. When I was a kid, my parents had the tradition of hiding our Easter baskets, so when we woke up Easter morning, we had the ultimate challenge of seeking out our bundles of goodies. Fair by nature, my parents would gauge the difficulty of the hiding spots based on our ages (read: attention span slash investigative skills), so my two older siblings often had all-out adventures, sent on wild goose chases outdoors that required athletic prowess and deductive reasoning, whereas the two youngest (myself and my middle brother) were given comical, versus difficult-to-find spots. Were we given hints? A big, resounding, blaring absolutely not. No hints. You guys, some years, this process took hours. IMO, this was one of our best childhood traditions. It had such an impact that I can recall in detail most of the locations I found my Easter baskets dating back to four years of age, circa 1990, and some of the locations of my siblings baskets as well. Sometimes the locations were so obvious, yet ridiculously challenging because of how obvious they were. I have to give my parents mad props (are people still using the term, “mad props?”) on their inventive, Sneaky McSneakerton skills. I couldn’t tell you a single meal we ate on Easter by virtue of the fact that the Easter basket hunt always won the selective memory space. With Easter coming up this weekend, I have crowed-pleasing sharable side dishes and desserts on the brain. Because the heavy, rich dishes can quickly spiral out of control, I always like having a couple lighter options. 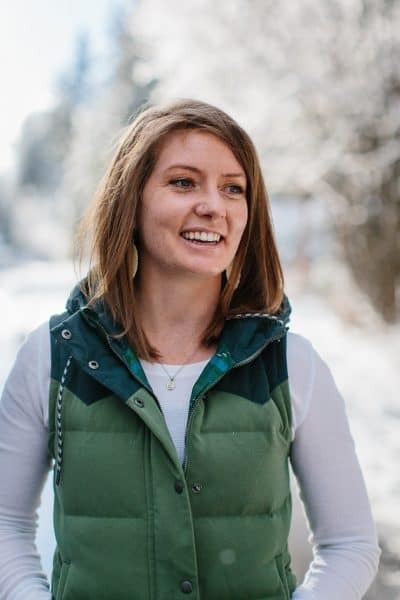 We’ll be spending Easter with my boyfriend’s family (I’m in charge of bringing dessert, woop woop!…bet you can guess what I’m fixing to bring, wink wink nudge nudge cake with a side of carrot…), which has continued the tradition of the adult Easter Egg Hunt. The older I get, the more I appreciate and cherish these little experiences…these something-to-look-forward-to’s…that form memories and make life fun and enriching. So! In the spirit of discovery and uncovering goodies, we have a goody-packed broccoli salad (queue the womp woooomp)…I know, I know…anticlimactic and chocolate-free, but still a gem-studded experience. 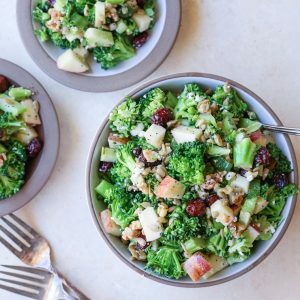 Broccoli salad is a winner for me all the way around…crisp and crunchy, full of nutrients, easily adaptable, versatile for serving…it just covers so many bases! While I normally make the dressing for my mayo-free broccoli salads with plain yogurt, I decided to take a vinaigrette approach this time around, using homemade lemon poppy seed dressing. 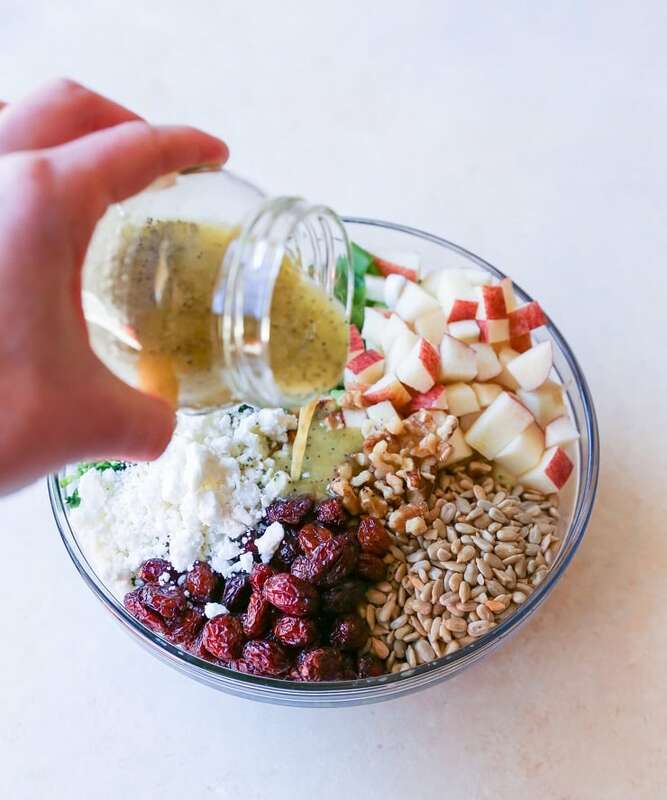 The dressing creates a big flavor pop, and you can always add a few tablespoons of yogurt to the recipe if your heart’s set on a creamy dressing. 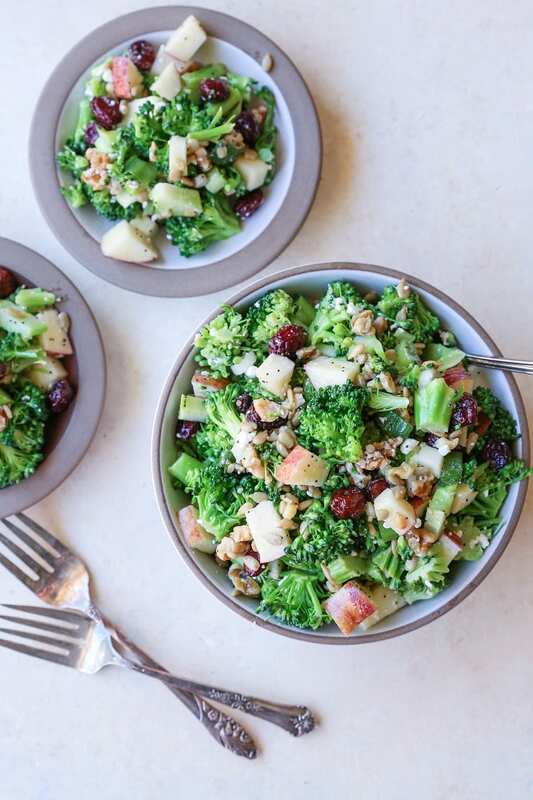 For me, the ultimate wins-every-time broccoli salad formula is blanched broccoli + raw or candied nuts + dried fruit + homemade mayo-free dressing. I like blanching my broccoli before turning it into salad, because it’s much easier to chew through, and I tend to enjoy the flavor more as well. Nut or seed-wise, I typically use raw, but If you remember the Broccoli Salad with Honey Toasted Walnuts I posted a few years ago, I also love a good sugared-up nut. Bacon? When in doubt, add it! Typically, I approach broccoli salad from a whatever-I-have-in-the-pantry standpoint. Any stray nuts, seeds, and dried fruit? Into the salad they go. I’ll even add excess produce that needs to be used up. Cheese-wise, I’ve been known to use just about anything…gorgonzola or blue cheese, goat milk feta, grated cheddar, parmesan, etc. When pressed to divulge my favorite, I’d have to say feta. Add all the ingredients for the lemon poppy seed dressing except for the poppy seeds to a small blender. Blend until completely smooth. Stir in the poppy seeds until well combined. Set aside until ready to use. 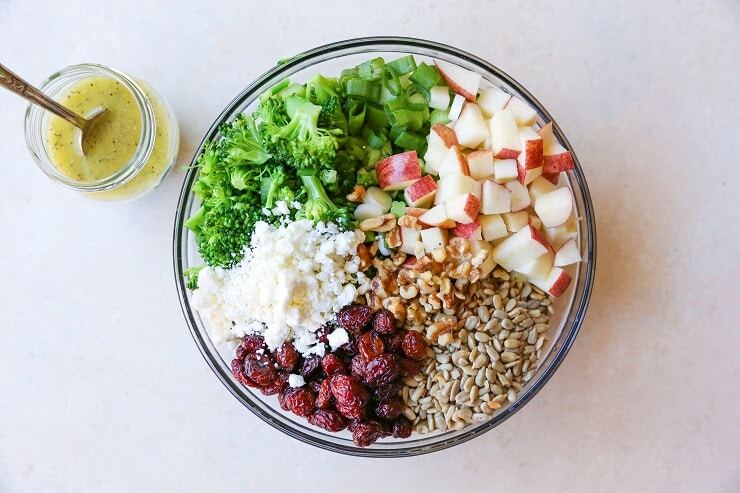 Transfer the broccoli to a large mixing bowl, along with the remaining ingredients for the salad. Pour in the lemon poppy seed dressing and toss everything together until well combined. Taste the broccoli salad for flavor and add more sea salt, and/or lemon juice to taste. I would never be sad about a salad, even if it doesn’t have chocolate in it. This looks AWESOME! And I think you must have the coolest parents ever. I love the idea of a hunt for Easter baskets :). 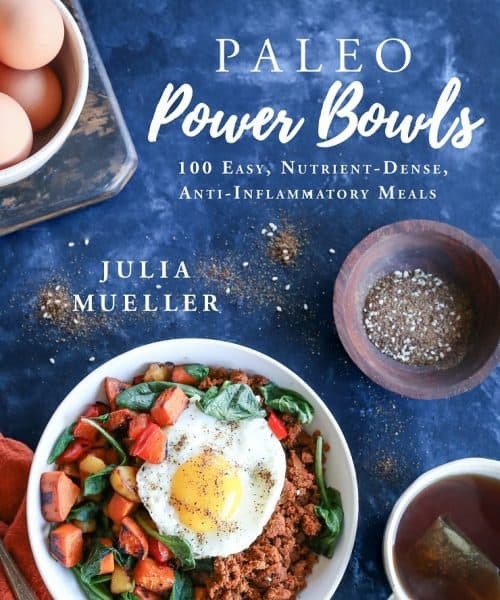 Have a great week, Julia! I’m craving this now, love all those crunchy textures! This looks so fresh and crisp!! This is so similar to my go-to broccoli salad that I usually make with a light coleslaw dressing, but I definitely need to try this! So, is it a mommy no no to put broccoli salad in your daughter’s Easter basket?! Because I might SO do that. At the least she is getting chocolate/candy over my dead body. So there’s that. Love your lemon poppy seed dressing!